To celebrate the launch of the new movie Walltastic has teamed up with Universal to give Jurassic World fans the ultimate bedroom decoration. We have launched 2 new products, the room transforming 8ft x 10ft wallpaper mural & the 88 sticker set Room Décor Kit! Available to order now! 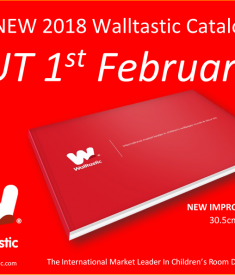 Transform any room with Walltastic!